Our professional cleaners are affordable and fully insured, giving you a rest of mind. Every cleaner that we provide is personally interviewed and references checked by us. All our cleaners are vetted for identification, address and eligibility to work in UK and could start on a set day and time which is convenient for you. You will get the same cleaner every session. And our replacement cleaners are always available to cover holidays or sickness. At BeClean Cleaners we constantly developing and updating our services to help deliver quality, affordable and progressive cleaning to our clients. For a full list of services please explore our services page , see also our standard domestic task list and one off cleaning task list. BeClean Cleaners provide high quality cleaning and competitive pricing across Abingdon using client choice of cleaning material. We provide vetted, experienced and well motivated Office and domestic cleaners who are easy to deal with. All our cleaners are vetted for identification, eligibility to work in UK, proof of address and references from previous employers. All copies of their documents are held by us so that the cleaners can be traced and they are aware of this. Insurance cover for damage to your property is included. Our cleaning services are flexible and can be tailored to suit specific clients' needs. You will get the same cleaner every session, but different tasks can be performed according to your needs. A replacement cleaner will be provided in case of sickness or if you are not satisfied and you wish to change your cleaner. No extra charge for ironing and Cleaners travel cost is also covered. Punctuality and reliability is our keyword. Flexible scheduling to suit your lifestyle, including optional key holding if you are at work or away. We have an excellent client retention rate because we deliver consistently high cleaning service standards. Our Domestic Cleaning Services are tailored to suit specific clients' needs. Different domestic tasks can be performed according to your needs. All general domestic cleaning tasks are undertaken. This includes cleaning and polishing furnitures, wardrobes and drawers, dusting all tops and surfaces, cleaning and dusting picture frames, clean and dust skirting boards and light switches, clean and dust window sills and ledges, empty and clean ashtrays and bins, vacuum carpets and rugs, mop the floor, clean appliances, counters, cabinets, tables, chairs and worktops, clean microwave inside and out, clean hobs, clean doors and handles and remove finger prints marks. For the bathroom we will clean and disinfect toilet seat inside and out, clean and wash the bathtub, sink inside and out, shower cabin, clean and wash the tiles, clean and polish the mirror, chrome and glasses, clean the counter tops, wipe the door, handle and light switches etc all this can be found in our standard domestic cleaning task list which can be tailored to suit clients needs. And remember you will get the same fully insured domestic cleaning lady to service your home every time, and if for any reason you’re not completely satisfied with any of the domestic cleaning work we have done for you, we’ll gladly return and re-clean any areas free of charge. Our Cleaning Ladies can clean your home everyday or every other-day as often as you wish but we require a minimum of two hours each session. Regular Domestic Cleaning require a minimum 2.5 hours per session weekly or 3 hours per session fortnightly. Our One Off Cleaning can be performed by a team of two or more cleaners, which ever will suit you best. One off cleaning is similar to spring cleaning in nature but can be tailored to suit your individual needs, for example a client might want to only clean a certain part of his or her home and this can be done as a part of one off clean. This service is available at any time just give us a call to discuss and arrange this. One off cleaning service is charged according to the cleaning hours required. Please see our price page to find out the exact charge. Remember you can book a cleaners online now. washing ceiling fans and air conditioning vents and much more task check our task list. However large or small your business is, BeClean Cleaners knows how important it is to have a clean and tidy working environment. 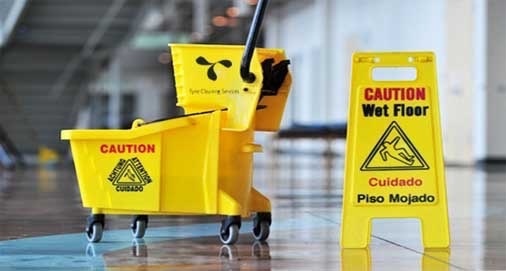 Cleanliness can be a very important factor for good employee performance in any working environment. We can provide cleaners to suit your business needs, from contract cleaning involving many cleaners on a daily basis to cleaning that requires just one cleaner for a couple of hours a week. Our professional cleaners don't cut corners but clean them. For affordable office cleaning please see our price list. Office Cleaning require a minimum 2 hours per session weekly or 3 hours per session fortnightly. Our End of Tenancy cleaning are carried out by a team of professional cleaners with all materials and equipment required to complete the cleaning job. We have designed our End of tenancy to give you the very best cleaning standard at an affordable rate BeClean Cleaners knows how important is to leave a property immaculate, whether you are moving out or in a rented accommodation or you are selling your home you will benefit from our End of tenancy cleaning which is ideal package if you are relocating to a new home and you need it to be cleaned perfectly.We can do an intense pre/post-tenancy cleaning in a day, leaving your property in the best possible condition. This service is ideal for estate agents, property management company, landlords and tenants at the end of the tenancy agreement. If you have your own task list we will follow your requirements. Also for your convenience, below is our standard list that our cleaners fulfill when this service is booked. You've had an amazing dinner and the best party, now you don't need to worry about the mess, just relax and give us a call. We are here to help and will put things in order. We will do the job any time any day; our cleaning ladies will come and clean absolutely everything and will leave the property spotless and gleaming. We work in teams to achieve high quality and efficient service that is affordable. Our before or after party cleaning services are tailor-made to suit your needs and hopefully remove at least one of your headaches, leaving you time to do more important things in life. Our ironing services are flexible and can suit your specific requirements. Whatever your ironing needs are we have a service to suit you, whether its your whole week's ironing or just a few shirts, our regular domestic cleaners are here to help. You can book a cleaner online to do your laundry for a minimum of 2 hours per session, or you can make ironing one of your domestic cleaning tasks. We will take care your communal areas like corridors, entrance, and stairs of your building or office, the front entrance and the communal areas are the focal points of any building. These common parts is the first point of visitors’ contact with the building and their state of cleanliness is always our priority. Our professional cleaners will make sure that your communal areas gets the attention it requires to create a good first impression. In addition to our regular domestic cleaning and office cleaning or one-off services we offer a range of additional specialised services including Oven Cleaning, Window Cleaning, Carpet Cleaning ,Cleaning And Polishing Wooden Floors. If you would like us to include any of these special services in your regular domestic or one-off service, simply give us a call to discuss your cleaning needs and get a no obligation quote.